Anti-biotics are a type of medication used to kill infections. They are only useful when targeting bacterial infections and will not work against viral infections.They are medications developed to help reduce and eliminate the continuation and spread of bacterial infections.They are normally available in tablet liquid, eardrop or intra-venous (administered directly into the blood stream) preparations and the doctor will prescribe specific doses of an appropriate route for each patient. Often, the first choice of an anti-biotics, by the physician will be what’s known as a ‘broad-spectrum’ anti-biotics, which can be used for general infections of many sources. If the infections continues after the treatment has ended, a swab of the infected area may be taken and sent for culturing, whereby the infections is grown under controlled circumstances in a laboratory so as to find out which specific anti-biotic will effectively destroy the bacterial cells.Normally, in the treatment of an ear infection, Augmentin or Amoxicillin will be prescribed as these are often the cheapest and most effective drugs for this complaint. Since their development, anti-biotics have proved very useful in eliminating illness and disease caused by bacteria. In modern society however, perhaps because of their continued use when not particularly necessary, they are becoming useless in the fight against some infections known as super-bugs. Due to this, their role in treating ear infections has become significantly reduced. Patients and parents alike are now advised only to seek medical advice with the possibility of using anti-biotic medication in the treatment of ear infections, if the infections is persistent and hasn’t improved by itself after 72 hours. Most physicians now agree that anti-biotics have been over prescribed in the past and are of the same opinion that most will heal themselves. More often than not, an ear infection will resolve itself using the body’s own immune system and pain relief, with symptoms beginning to subside between 48 and 72 hours after onset.Parents should seek medical advice if a child’s temperature continues to climb even after the use of paracetamol, or if a rash, bleeding or discharge appears. 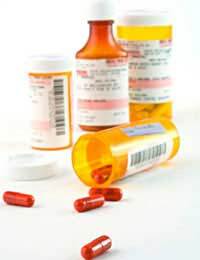 For the treatment of persistent infections, anti-biotics are normally very successful in eradicating all bacterial infection as long as the full course of prescribed is taken. They are useful in the prevention of the spread of infection, particularly concerning the spread of ear infections to the brain or bones which are much more difficult to treat. For many people, anti-biotic therapy can produce some unpleasant side effects including diarrhoea, oral thrush or a skin reaction. These are acceptable side effects and not normally considered to be a true allergy of the medication. Allergic reactions can cause swelling, vomiting or more seriously an anaphylactic response. If the airways become swollen, breathing becomes difficult or the hands and face begin to swell, discontinue the medication immediately and seek medical advice. Anti-biotics, if used sensibly and only when really needed are a fantastic way of treating bacterial infections. Always remember to take the full course prescribed even if symptoms have cleared up.